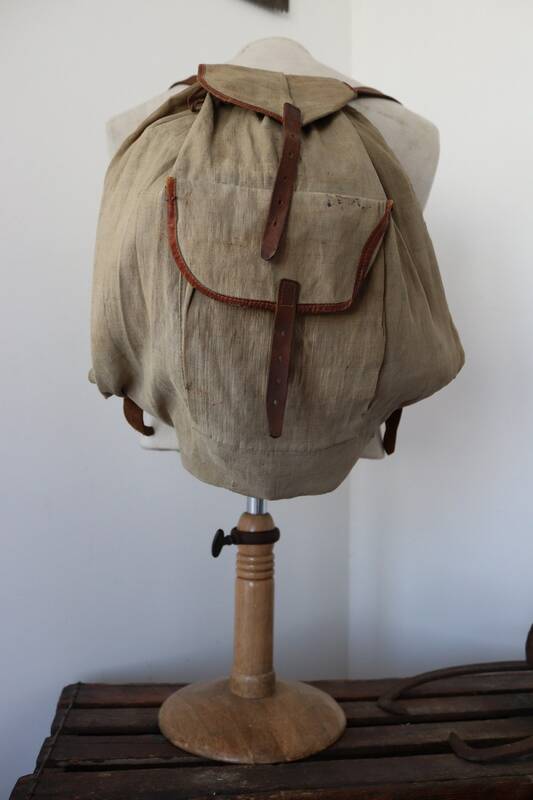 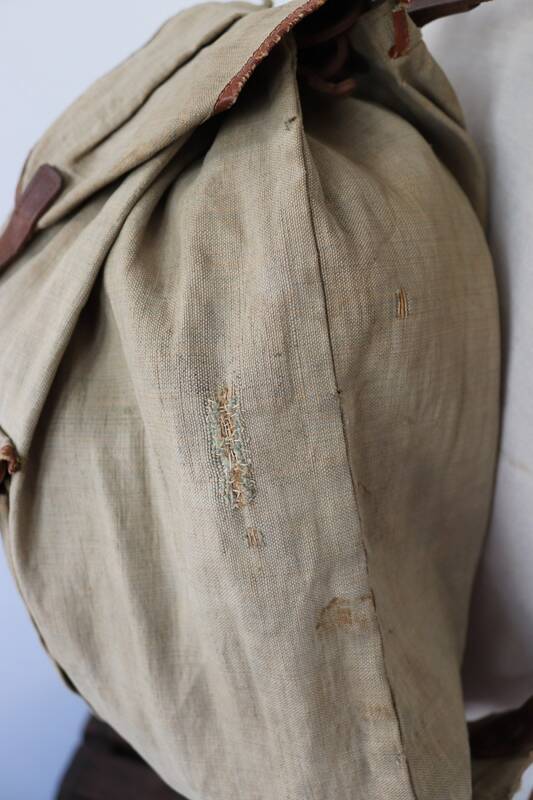 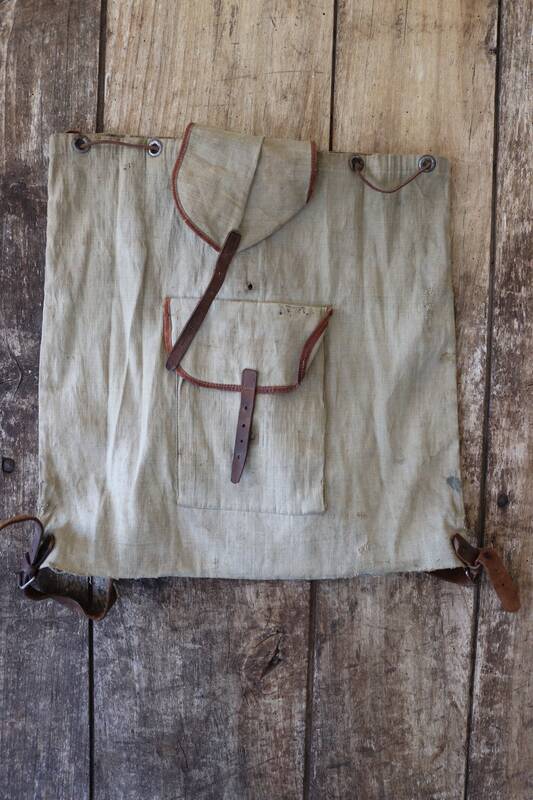 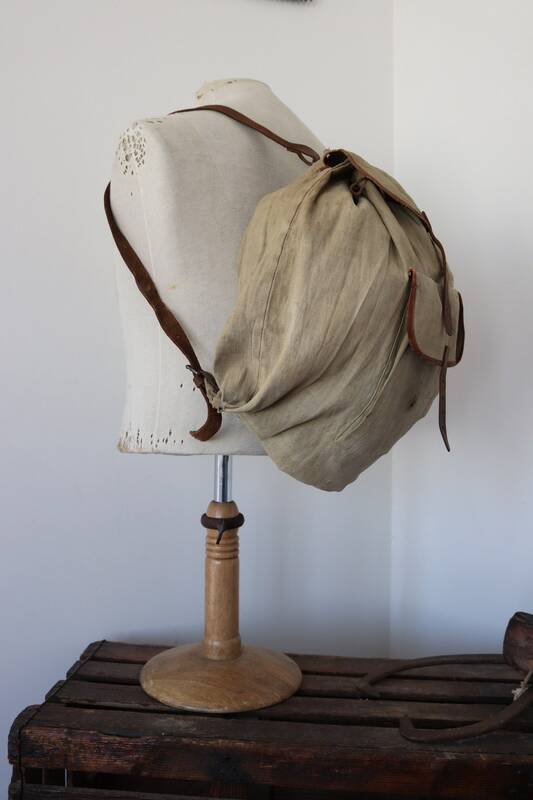 A green woven lightweight cotton canvas rucksack dating from the 1930s. 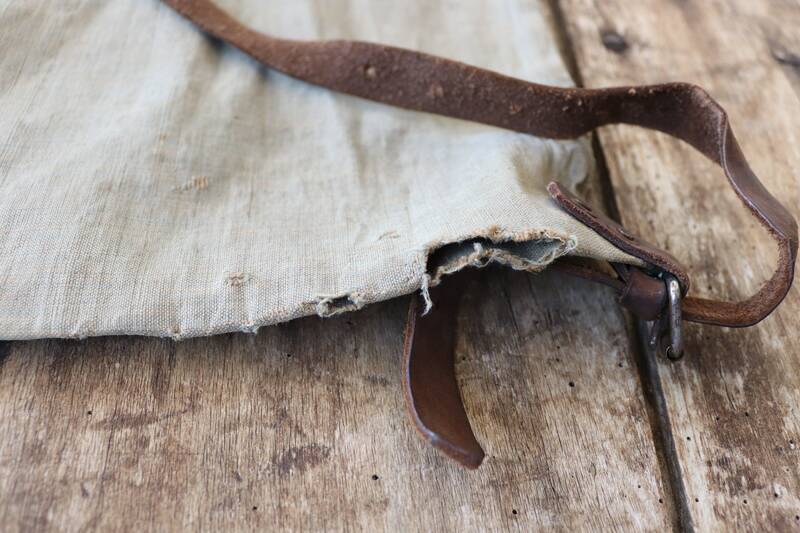 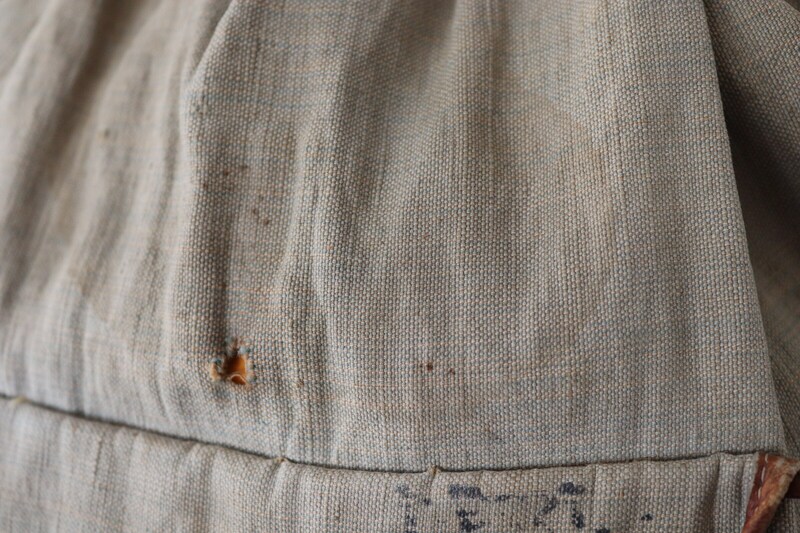 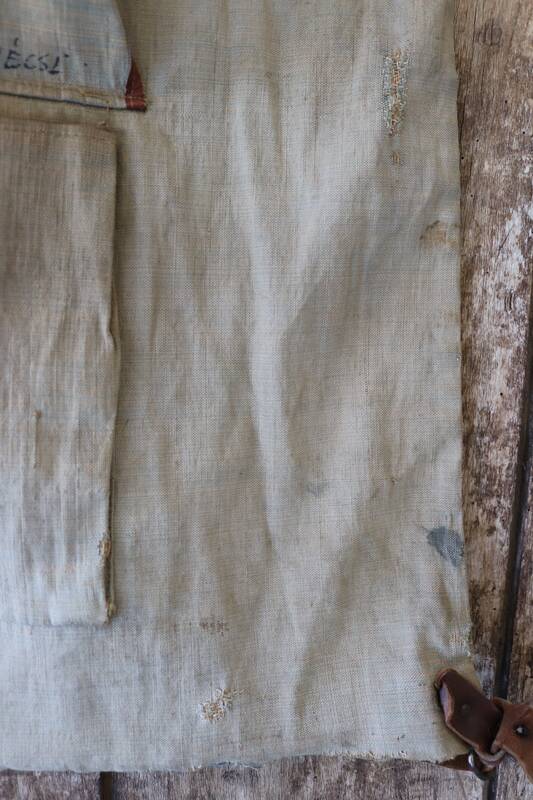 Noted flaws - marks throughout, small holes and repairs throughout, missing both buckle fastenings. 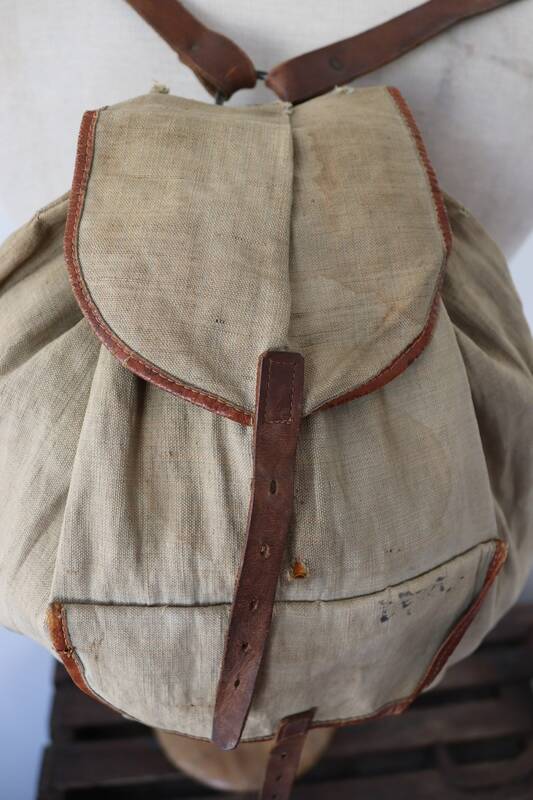 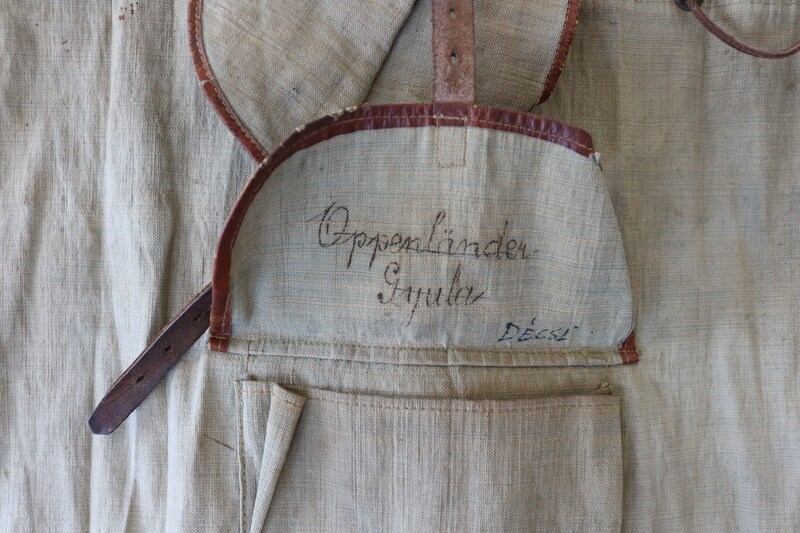 A simple repair project if that's your talent, appears to be homemade, handwritten names inside one of the flaps, supple leather straps, drawstring main pocket, beautiful woven material, a unique item. 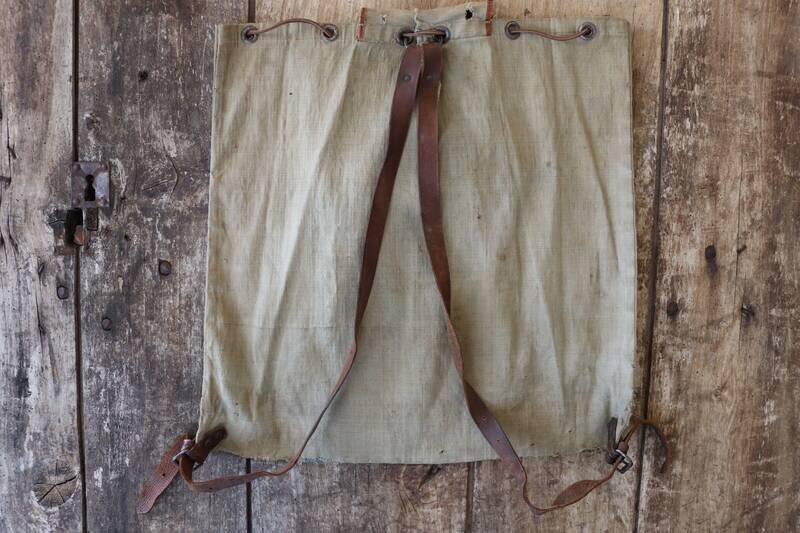 Measures approximately 19" x 18".